Pascal’s life is like any other boy’s as he worries about his English classes and his football skills – until the day rebels come to his village and everything changes. On the run with friends, Pascal finds himself at the mercy of some tough events. 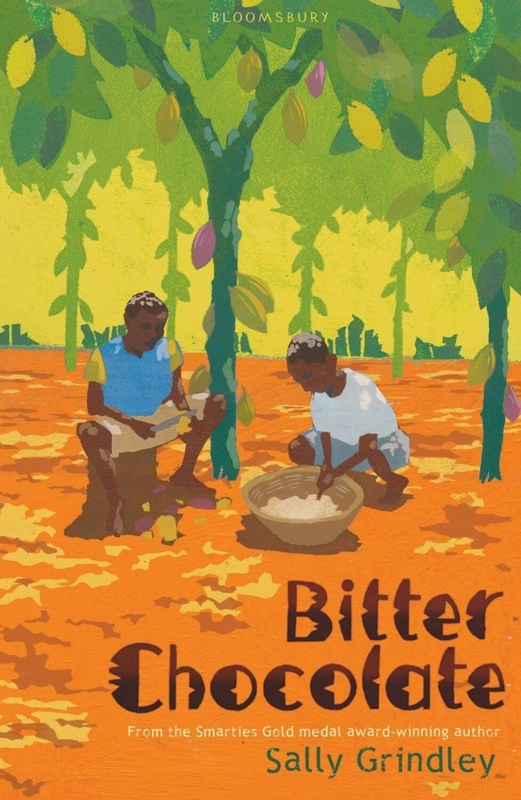 But it is not until he ends up working in a cocoa plantation that he realises he must endeavour to find his family and to set himself free of his enslavement. Armed only with his determination, and supported by his friend, Kojo, Pascal has a difficult battle ahead of him. 1) Life in a west African village for a young boy. 2) Living under the threat of war and rebel danger. 3) Child soldiers – drugs, cigarettes, brain-washing. 4) Life in a refugee camp. 5) The importance and value of friendships. 6) Child slave labour and the exploitation of children. 7) The use of bribery and false promises to traffic children. 8) The brutality of working conditions under unscrupulous owners. 9) Cocoa plantations and the cocoa plant. 10) Child resilience and the importance of hope. 1) Pascal as a young, quiet village boy. 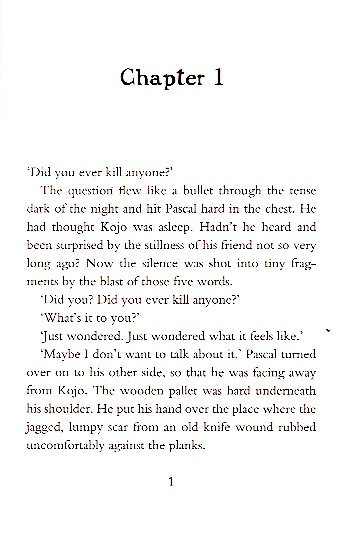 2) Pascal as a hardened former child soldier. Compare and contrast the two. 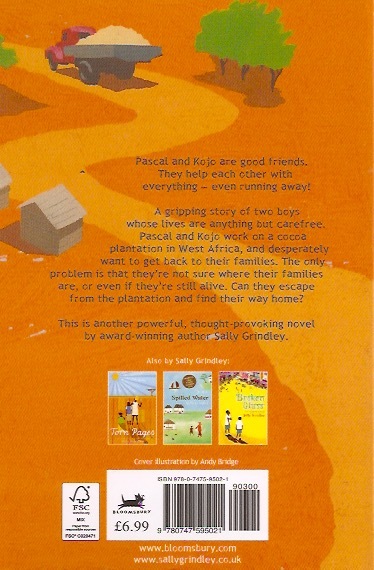 3) The relationship between Pascal and his young friend, Kojo. 4) Le Cochon – iron ruler of the cocoa plantation.